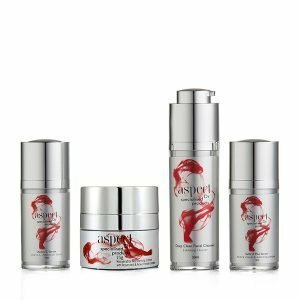 Helps to rejuvenate the skin at night by stimulating the production of collagen to improve the appearance of fine lines, wrinkles and dark spots. 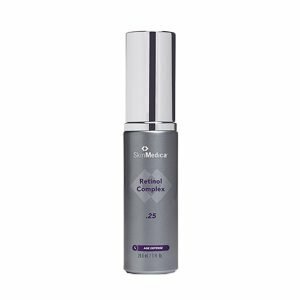 Skin roughness and hyperpigmentation are also improved. 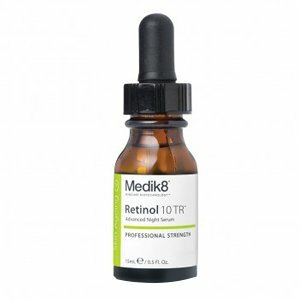 High strength Retinol application should be phased in gradually. Use twice a week for the first 2 weeks, every other night for the next 2 weeks, then every night. After cleansing in the evening, apply 4 drops of Retinol 10 TR Serum directly onto the face. Alternatively, place a drop on your finger and then blend into skin. Leave to absorb before applying your regular Medik8 hydrator.